One of the most influential French intellectuals of this century, Lacan is seen here at the height of his powers. Lacan dedicates this seventh year of his famous seminar to the problematic role of ethics in psychoanalysis. 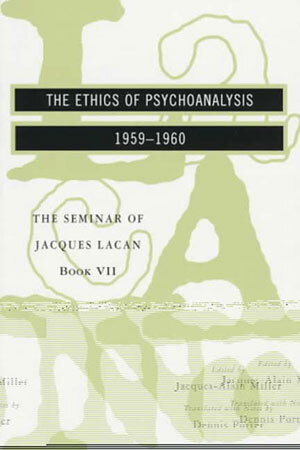 Delving into the psychoanalyst's inevitable involvement with ethical questions and "the attraction of transgression," Lacan illuminates Freud's psychoanalytic work and its continued influence. Lacan explores the problem of sublimation, the paradox of jouissance, the essence of tragedy (a reading of Sophocle's Antigone), and the tragic dimension of analytic experience. His exploration leads us to startling insights on "the consequence of man's relationship to desire" and the conflicting judgments of ethics and analysis.